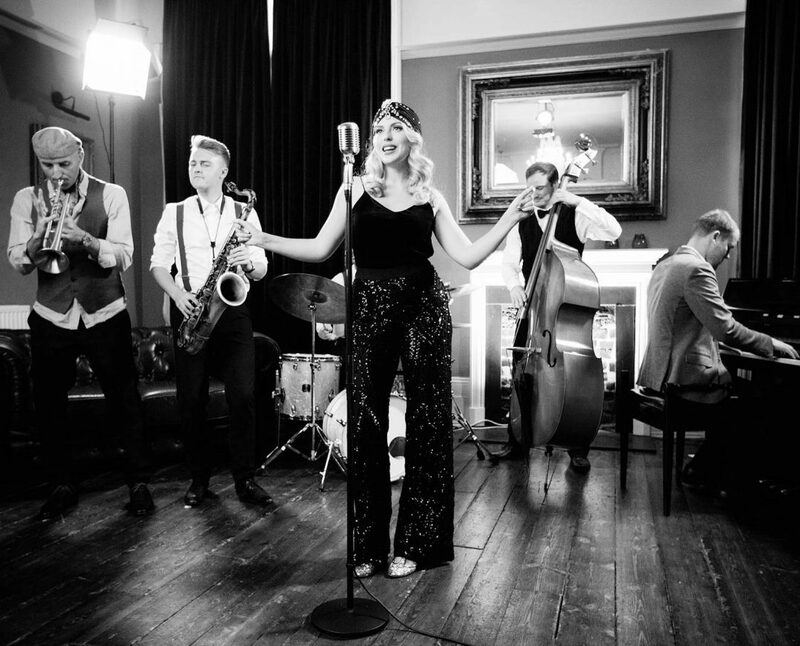 Megan, originally from Northern Ireland, moved to London eight years ago and has since established herself as a top performer in the Jazz and Vintage music genre. 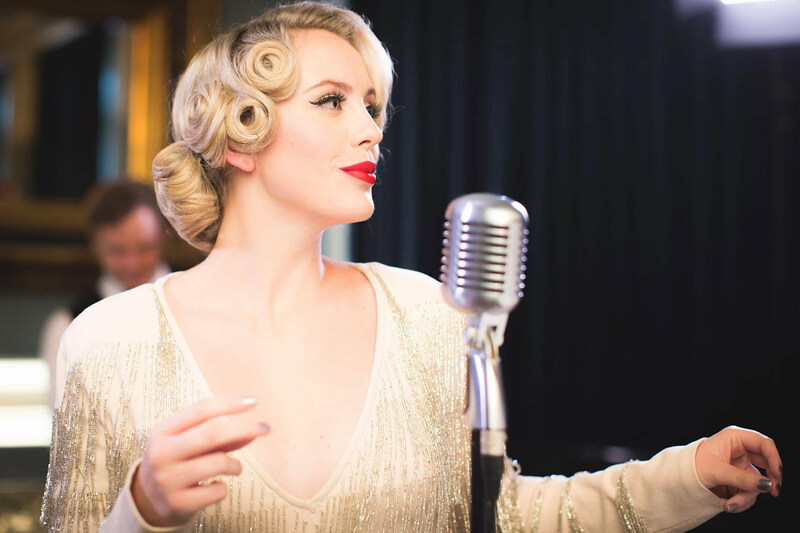 As well as singing classic Jazz Standards, Megan also performs a large repertoire of Contemporary music with artists ranging from Taylor Swift to Bon Jovi and Daft Punk to Sam Smith, to which she adds her own Vintage twist. This ‘Postmodern’ genre adds a touch of class to any Cocktail Party, Drinks Reception or Unique Event. Megan has performed at some of London’s most prestigious venues including The Ritz, Harvey Nichols, The Arts Club (Mayfair), The Hippodrome, Ronnie Scott’s, The V&A, The Sky Garden, The Tower of London, The Natural History Museum, Soho House, The Savoy and Quaglinos. She has also performed for many high profile clients including BBC, Dell, Hitachi, MasterCard, Boots, Soap & Glory, Virgin, VW, BMW, John Lewis, RAF, Charles Worthington, M&S and Pandora to name but a few. Megan is available as a solo singer with quality backing tracks or accompanied by her pianist/guitarist for a classy duo as well as expanded Postmodern Jazz band which is a perfect addition to any Corporate Event, Private Party or Wedding. "Megan has a beautiful voice. She was the perfect addition to our Christmas event!" "Megan read the crowd so well and made our evening."